Long-range social impact: the project helps change the overall life-situation of those who benefit from it. Sustainability: the project helps create the social structures that are needed for a permanent change in the lives of the poor. Replicability: the project can be adapted to solve similar problems in other places, in a variety of circumstances. Scope: the project has spread beyond its initial context and has been used successfully in other settings. Innovation: the project has brought about significant social change by transforming traditional practice. When elements that influence the lives of people within a societal system — family, institutions, jobs, housing, food and drink, health care, education, moral values, spiritual development, and more — function together positively, people thrive. If one or several of these elements are lacking, the whole system begins to break down. In works among the poor, our focus must be broader than any one particular problem; we must aim beyond providing food, clothing and shelter to alleviate immediate needs. 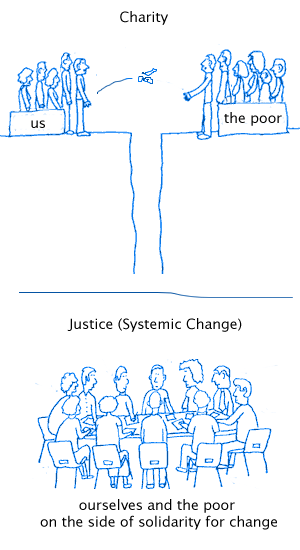 Systemic change focuses on assisting the poor to change the overall structures within which they live. 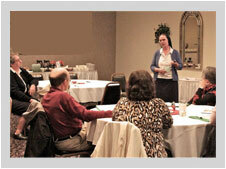 It looks to their being able to develop strategies by which they can emerge from poverty. Systemic Change among those living in poverty aims beyond providing food, clothing, shelter and alleviating immediate needs. It enables people themselves to engage in the identification of the root causes of their poverty and to create strategies, including advocacy, to change those structures which keep them in poverty. Systemic Change requires transforming attitudes. The Vincentian Family’s International Commission for Promoting Systemic Change has made available the documents, videos, and PowerPoint presentations used in their Systemic Change Workshops. They are available in English, Español, Portuguese, Français, Polski, Italiano, and Deutsch. The poor sometimes suffer more from lack of “order” than from lack of charitable persons.